Match ends, Eintracht Frankfurt 0, Hertha Berlin 3. Second Half ends, Eintracht Frankfurt 0, Hertha Berlin 3. Goal! 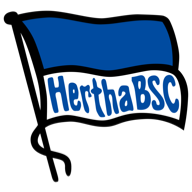 Eintracht Frankfurt 0, Hertha Berlin 3. Alexander Esswein (Hertha Berlin) right footed shot from the centre of the box to the bottom right corner. Assisted by Salomon Kalou following a fast break. Corner, Eintracht Frankfurt. Conceded by Marvin Plattenhardt. Substitution, Hertha Berlin. Fabian Lustenberger replaces Karim Rekik because of an injury. Substitution, Hertha Berlin. Alexander Esswein replaces Davie Selke. Delay in match Karim Rekik (Hertha Berlin) because of an injury. Marco Fabián (Eintracht Frankfurt) wins a free kick in the defensive half. Davie Selke (Hertha Berlin) is shown the yellow card for a bad foul. Delay in match Davie Selke (Hertha Berlin) because of an injury. Makoto Hasebe (Eintracht Frankfurt) is shown the red card for violent conduct. Goal! Eintracht Frankfurt 0, Hertha Berlin 2. Mathew Leckie (Hertha Berlin) right footed shot from the centre of the box to the bottom left corner. Assisted by Salomon Kalou with a through ball following a fast break. Omar Mascarell (Eintracht Frankfurt) is shown the yellow card for a bad foul. Foul by Omar Mascarell (Eintracht Frankfurt). Mathew Leckie (Hertha Berlin) wins a free kick in the attacking half. Attempt missed. 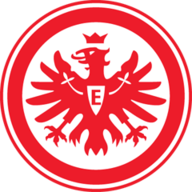 Luka Jovic (Eintracht Frankfurt) header from the centre of the box misses to the left. Assisted by Marco Fabián with a cross following a corner. Offside, Hertha Berlin. Davie Selke tries a through ball, but Salomon Kalou is caught offside. Attempt missed. Marco Fabián (Eintracht Frankfurt) right footed shot from outside the box is too high. Assisted by Omar Mascarell. Vladimir Darida (Hertha Berlin) wins a free kick in the defensive half. Attempt missed. David Abraham (Eintracht Frankfurt) right footed shot from outside the box is too high. Attempt saved. Marco Fabián (Eintracht Frankfurt) right footed shot from outside the box is saved in the top left corner. Assisted by Danny da Costa. Substitution, Eintracht Frankfurt. Jetro Willems replaces Marco Russ. Attempt missed. Marco Russ (Eintracht Frankfurt) header from the right side of the box is close, but misses to the left. Assisted by Marco Fabián with a cross following a corner. Corner, Eintracht Frankfurt. Conceded by Jordan Torunarigha. Attempt blocked. Luka Jovic (Eintracht Frankfurt) header from the centre of the box is blocked. Assisted by Timothy Chandler with a cross. Marco Fabián (Eintracht Frankfurt) wins a free kick in the attacking half. Jordan Torunarigha (Hertha Berlin) wins a free kick in the attacking half. Offside, Hertha Berlin. Rune Jarstein tries a through ball, but Valentino Lazaro is caught offside. Substitution, Eintracht Frankfurt. Marco Fabián replaces Aymen Barkok. Substitution, Hertha Berlin. Salomon Kalou replaces Ondrej Duda. Goal! Eintracht Frankfurt 0, Hertha Berlin 1. Davie Selke (Hertha Berlin) converts the penalty with a right footed shot to the centre of the goal. Delay in match (Hertha Berlin). Video Review. Penalty Hertha Berlin. Davie Selke draws a foul in the penalty area. Penalty conceded by Makoto Hasebe (Eintracht Frankfurt) after a foul in the penalty area. Attempt missed. Luka Jovic (Eintracht Frankfurt) header from the centre of the box is too high. Assisted by Aymen Barkok with a cross. Hand ball by Karim Rekik (Hertha Berlin). Aymen Barkok (Eintracht Frankfurt) wins a free kick in the defensive half. Second Half begins Eintracht Frankfurt 0, Hertha Berlin 0. First Half ends, Eintracht Frankfurt 0, Hertha Berlin 0. Attempt saved. David Abraham (Eintracht Frankfurt) right footed shot from outside the box is saved in the centre of the goal. Assisted by Danny da Costa. Offside, Hertha Berlin. Marvin Plattenhardt tries a through ball, but Valentino Lazaro is caught offside. Foul by Aymen Barkok (Eintracht Frankfurt). Offside, Hertha Berlin. Peter Pekarík tries a through ball, but Davie Selke is caught offside. Substitution, Eintracht Frankfurt. Omar Mascarell replaces Jonathan de Guzmán because of an injury. Attempt saved. Timothy Chandler (Eintracht Frankfurt) right footed shot from outside the box is saved in the top left corner. Assisted by Aymen Barkok. Attempt missed. Jonathan de Guzmán (Eintracht Frankfurt) right footed shot from the right side of the box is too high following a corner. Delay in match Timothy Chandler (Eintracht Frankfurt) because of an injury. Lukás Hrádecky (Eintracht Frankfurt) wins a free kick in the defensive half. Attempt blocked. Ondrej Duda (Hertha Berlin) right footed shot from outside the box is blocked. Offside, Hertha Berlin. Jordan Torunarigha tries a through ball, but Valentino Lazaro is caught offside. Attempt missed. Luka Jovic (Eintracht Frankfurt) left footed shot from the centre of the box is too high. Mijat Gacinovic (Eintracht Frankfurt) hits the bar with a right footed shot from the centre of the box. Assisted by Luka Jovic. Offside, Eintracht Frankfurt. Makoto Hasebe tries a through ball, but Luka Jovic is caught offside. Marco Russ (Eintracht Frankfurt) wins a free kick in the defensive half.